Putting nature back into urban, closed or mineralised spaces. This project, with special emphasis placed on all things green, is part of an ongoing strategy aimed at supporting the economic fabric of the region as a whole: the city of Angers, Végépolys, the University of Angers, Agrocampus ouest, the National Institute for Agricultural Research and the International Centre for Agricultural Research for Development. 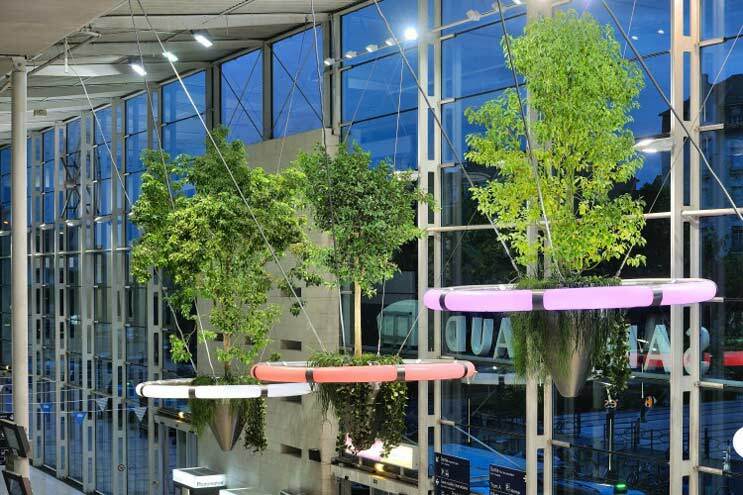 The project to install planters at the station in Angers was a real technical challenge and one which, aside from the aesthetic aspect, opened the door to research into the behaviour of hanging plants in tight spaces. Supporting the regreening of urban spaces for more than 30 years, Atech employed their skills and expertise for this project in collaboration with the artist designer Alexis Tricoire. 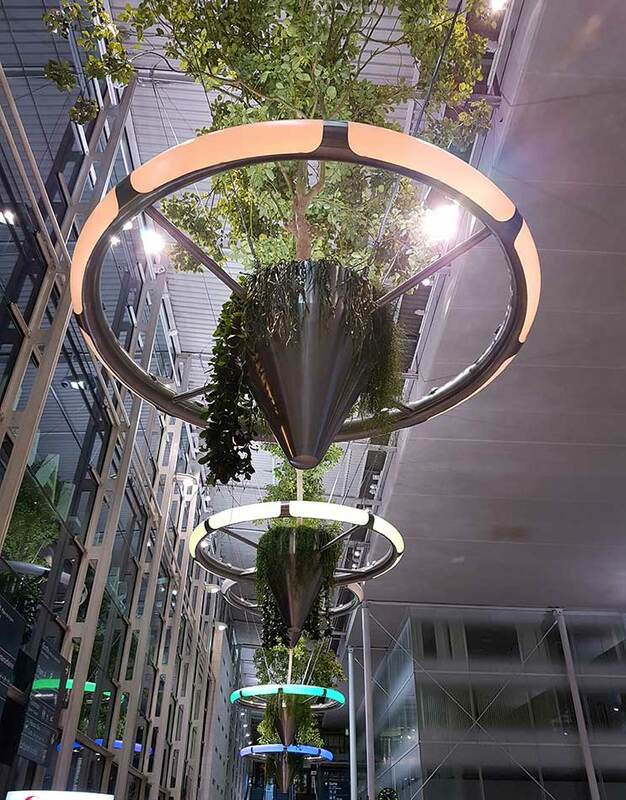 The process of designing, developing and fitting the 5 suspended lit structures and the 2 structures on the ground on the forecourt in front of the station in Angers was carried out by staff from Atech. 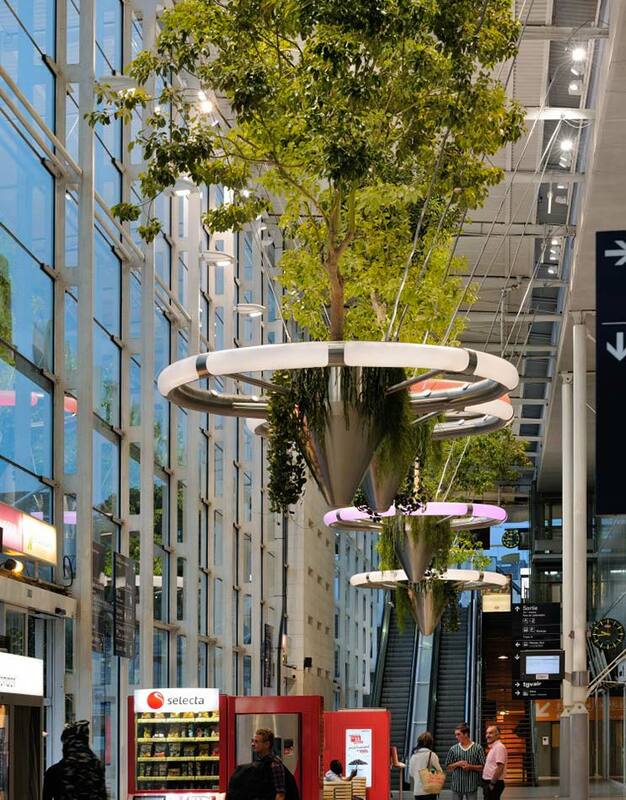 These floral structures served as a showcase for local expertise when it came time to open the new high speed train lines for Brittany and the Grand Ouest region in the presence of the Minister for Transport.